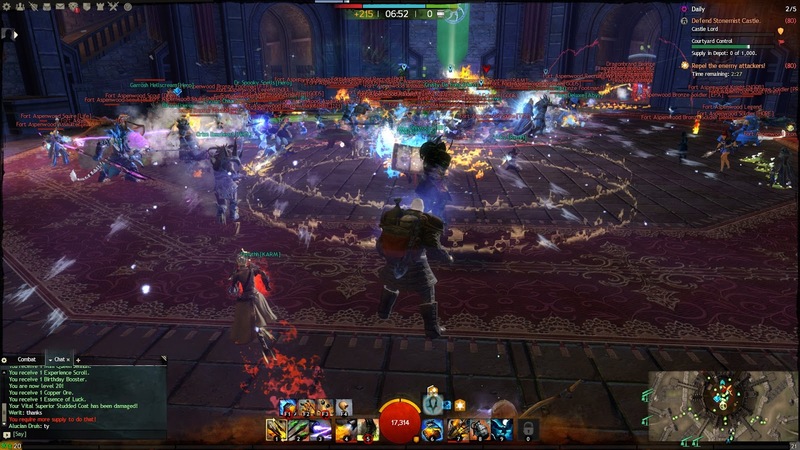 The Shapers Guild is a new fan site and forums dedicated to the currently in beta game, Dawngate. What makes it special is it is lore focused instead of just dry material. Also, it is run by our good friend: Gaarawarr from WAR! The site is pretty cool, so you should stop by and check it out. He is also giving away beta keys for the game. My ever changing side project, Stellar Fortune, is a multi-player sandbox game. One of the core ideas behind it is to have meaningful exploration. To accomplish this, I need a large game world for the players to be able to explore. That also means I need a good map system. There are four levels to the game world: Quadrant, Sector, System and Planet. Each one is basically it's own map. So I need a system that allows players to drill down all the way to a planet view. I am currently going with a simple grid for each map level. Click on the Quadrant, click on the System, click on the planet and you are at the lowest level. That's not too complicated, but in order for exploration to be meaningful I have to track what every player knows about. So every system visited has to be noted. Also, one way to make exploration profitable is for players to be able to sell information about systems they have visited. As this is a sandbox, I want players to be able to exploit these newly discovered systems by being able to build there. That brings up the question of fog of war... should players be able to see what's going on in a system once discovered even if they don't have anything there? The easy answer is yes, the tough answer is no. I also want discovered systems to eventually become public knowledge. So those who discover a system will have some time to do with it as they please (claim, sell) but after a period of time passes, everyone will know about it. This all presents some programming challenges, but I think it would provide an interesting game world for players to explore and exploit. 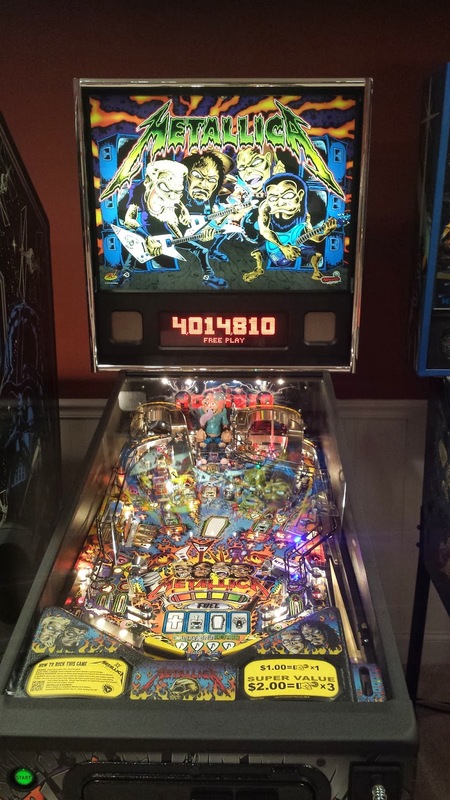 I am a pinball fan, in fact I own a couple of pinball machines. It has been a while since I added or changed my collection. So I was quite surprised when I found out that Stern had made a new pinball machine, this time Metallica themed! 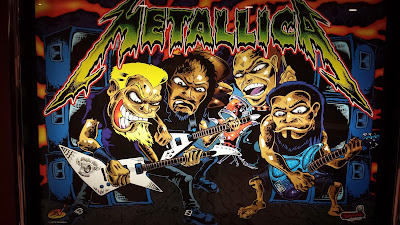 I love me some Metallica music, even some of the new stuff. 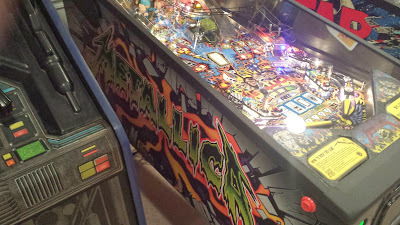 The Metallica pinball features their 12 tracks music, of course. 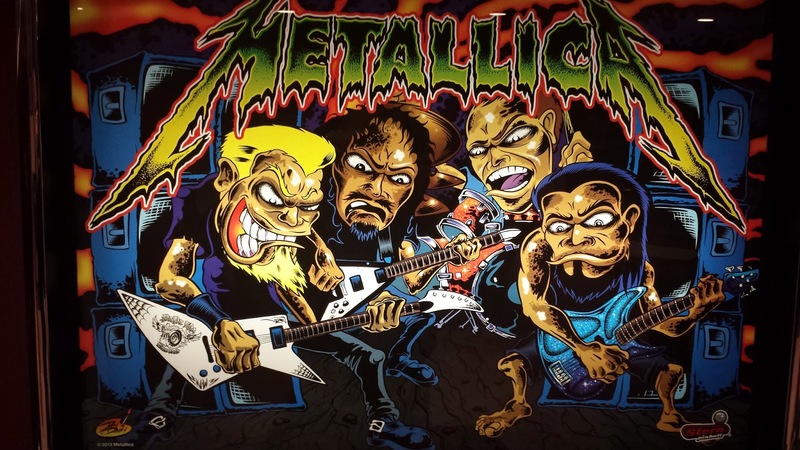 That includes songs such as 'Master of Puppets', 'Enter Sandman', and 'For Whom The Bell Tolls.' It is mostly their old stuff which is perfectly fine for me. The gameplay looks pretty good too. I've included a video someone made below. The artwork looks fantastic. The only downside is that new pinball games are pretty expensive. I may have to trade in one of my others to help make the cost more reasonable. I only remain happy playing games for a limited amount of times. It eventually just leads towards me wanting to make my own game. This weekend I reached that point. It seems to be a never ending cycle. I do work on making my own game, run out of time, go with it for a few months, then go back to the start. It really bothers me that I can't seem to muster enough time to make my dream become a reality. This is especially true with my new job which requires even more of my time. So I have these ideas, which I desperately want to try out, but can't. Very frustrating. There is an option. Pay someone to do all the time-consuming bits for me. Seems like a good solution, sacrificing money for the time. Getting my ideas in a form that someone can take a produce a usable prototype is the real challenge. But it may be the only way moving forward. It is something I'll have to think on. When it comes to strategy games, I'm a bit of a cheater. Before major decisions I tend to make saves and will not hesitate to go back to them if it doesn't work out the way I wanted it to. During my game of Europa Universalis 4 I've recently run into one of these decisions. Let me set the stage. I'm playing as Venice, a Merchant Republic, around 1496. My goal is to pretty much expand my economic dominance as far as possible and rake in the ducats Scrooge McDuck style. I had set my sights on expanding into India/East Africa. To reach this goal, I figure I needed a Red Sea port. Standing between me and the Red Sea are the Mamluks. So I declared war on them. After a few key battles I broke their army and took most of their provinces. At the peace table, I asked for and received the Sinai Peninsula, including Gaza and Judea. So I had reached my goal, but was it worth the effort? It was a long war, and I took quite a manpower and ducat hit. I also had to use a lot of Administrative/Diplomacy power. It left me with a bunch of new lands to core, and a lot of rebels to potentially fight. I also may have made a mistake when selecting my second National Idea. I chose Economic instead of the one that provides explorers and colonists. So I can't actually make use of my newly acquired ports. On the plus side, I have more Trade Power in the Alexandria Trade Node now. I'm debating restarting from my save back before the war. Although I don't know what direction I'd take from there. The mother of all fansites, Stratics.com, is turning 16 this month. As such, they are having a celebration. Instead of bring them presents, they have some for all of us. 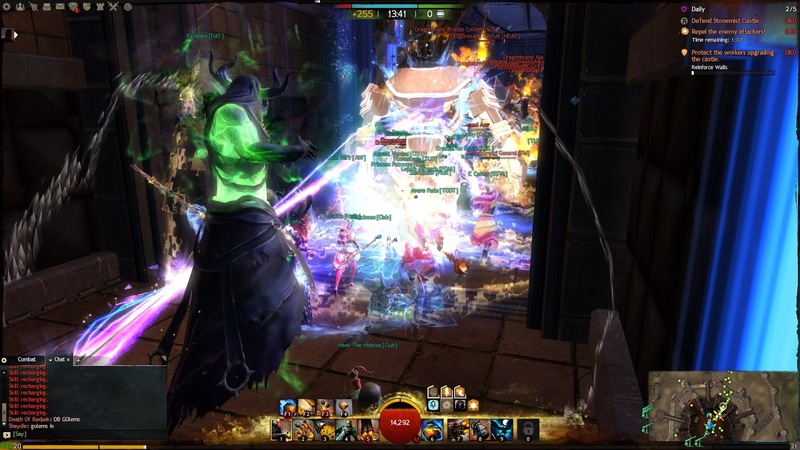 If you have any interest in MMO's, you'll want to check this out. It all starts up on October 20th at 2pm EST. New Website. They will be unveiling a brand new website. Their current one could definitely use some sprucing up, so I am very much looking forward to the new one. Interviews. Industry veterans, such as Richard Garriott, will be talking about UO, Stratics and their new ventures. These interviews will be live streamed starting at 2pm. That includes representatives from Elder Scrolls Online, Eve Online, Shroud of the Avatar, Ultima Online, and WildStar! Giveaways. There is stuff and it will be given away! There will be multiple ways to participate, including Twitter, Facebook and Twitch. It is turning into quite an event. Be sure to stop by. It has been at least a decade since the grand strategy game, Europa Universalis, was released. Paradox is now on its fourth iteration of the product, and it just keeps getting better. I had pre-ordered the game on Steam so I could get the bonus DLC. The past few weeks have been rather busy, so I only recently got to sit down and give it some serious play time. Venice. I am always drawn to Venice. Something about its location and the fact it can be an economic powerhouse. So it is no surprise I chose them for my first game. Since EU4 starts around 50 years later than EU3, Venice actually has more holdings in Europe than I was used to. My first order of business was trade, of course. Trade. The trading system in EU4 is quite a bit different than previous editions. It is much too complex to fully cover here though. Basically Trade is separated into Nodes, which flow into other nodes. You can assign merchants to nodes who can either collect money or steer it to another chosen node. Owning provinces within the node area increase how effective you are, as does the present of Light Ships. The Trade Nodes and paths are all static though, so you have to work with what is there. As Venice, I had a lot of Trade Power in Venice which allowed me to make some decent coin right off the bat. I sent merchants out to Ragusa, Alexandria, and Constantinople to direct trade back to Venice. I also worked on acquiring territory, like Cyprus, to increase my Trade Power in those nodes. War. What's a grand strategy game without war? Not much to really say here, as the system feels just like previous games. I spent a good amount of time fighting the Mamluks and Hungry so far, both victories for me. Navy. Navies are much more important this go around. Since Light Ships provide Trade Power, you will see larger fleets roaming the sees. Blockades also provide a good bit of victory points when going to the peace table. Engine. EU4 uses the same engine as Crusader Kings 2. It feels very slick and polished. Tooltips with detailed information are everywhere allowing for a much better understanding of what's happening and why. Flavor. The addition of unique National Ideas for most countries give them a different feel. As if there wasn't enough replay value already. Overall. I am quire pleased with EU4, it is an excellent game. I cannot wait to see what they do for future DLC/Expansions. If you like strategy games, it is definitely one to pick up. So it turns out I was somewhat wrong about BioWare's plan for the new space system. In a previous post, I said that it would probably be released as a patch. Instead, the space project is being released as a Digital Expansion. It is free for all players though, so it is just a different kind of patch really. So what do we know about it? PvP. As suspected, it is an instanced warzone. It will feature 12 vs 12 battles. No word on if this new system will be used for PvE eventually. Customization. They do mention being able to customize your starfighter. The lengths at which you can do this are still unknown. They do say there are several types of ships though. Subscribers can unlock a Gunship early. Gameplay Modes and Maps. 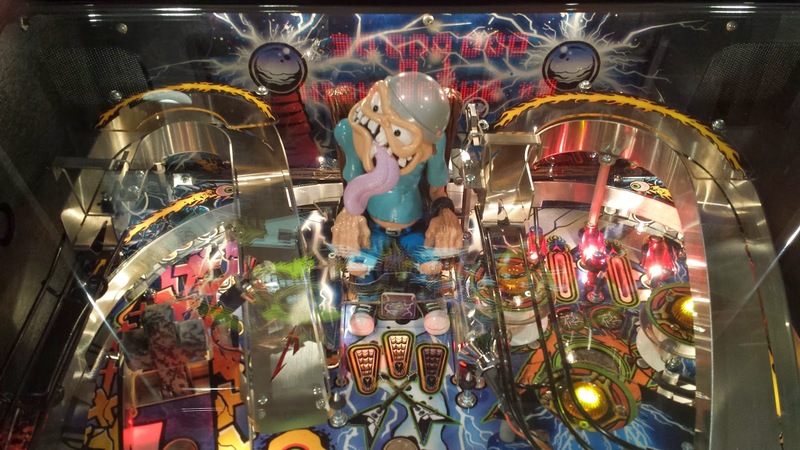 The page mentions that there are multiple gameplay modes and maps. No specifics were given though. Coming Soon. Galactic Starfighter will launch on December 3rd for subscribers. I found this to be a very interesting way of coaxing people to subscribe. If you don't, you may have to wait a month or two. This approach could very easily backfire on BioWare. By restricting who can play it, you are likely lengthening the queue times. Overall I am pretty excited by what I see. This will be a unique experience that SWTOR will offer. As a part of Mythic shutting down WAR, Carrie Gouskos reflected a bit on WAR and revealed some interesting details. Carrie was a Producer for WAR, one of many the game seemed to have over its lifetime. I had to opportunity to meet her on a couple of occasions, she always seemed passionate about the game. While I'm sure the article was well-intentioned, it also did sting a bit. Carrie mentioned several things they had planned but never saw the light of day. iPhone App. They had a Realm WAR iPhone App completed. I'm not sure why they would not release something that was already done, but they didn't. I never had an iPhone, but it still could have been cool. Vampire Count Expansion. It had long been hinted at in the files, but Carrie confirmed work was done on a Vampire Count themed expansion called Blood Hunt. 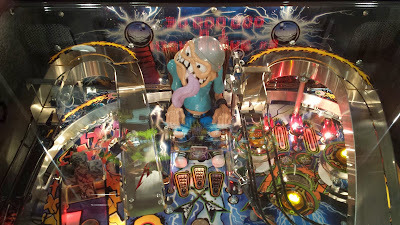 Free to Play. I think this was public knowledge, but they made a Free to Play version of WAR for the Asian markets. Makes you wonder why they couldn't have used that work for WAR the last couple of years. Karaz-A-Karak and Karak Eight Peaks. Sounds like these cities were relatively close to being finished. Of course, they need a good reason to be put into the game. With the state of the campaign, I don't see how they would fit. That is a topic for another time though. Hearing all of the cool stuff we didn't get to see doesn't really leave me with a good feeling. Who knows, some of them could have helped save WAR. In the end it just leaves me with more questions about what they were about and why they never saw the light of day. November is shaping up to be one heck of month. Not only is the XBox One coming out, Egosoft's latest edition in the X series is also being released: X Rebirth. If you are not familiar with the X series, think of it as a universe simulator with a heavy focus on fighting and economic activities. They recently released a video discussing Trading and Mining. The game looks amazing and I cannot wait to get my hands on it. It's World Championship time in League of Legends. They have run a pretty awesome tournament for it so far, except for one aspect: the schedule. I love watching LoL, and do whenever I get a chance (especially on my Roku). But there is a slight problem. For whatever reason, Riot had a number of rounds start at 11pm EDT. That is way too late for me to even consider watching. What makes things worse is that the championship game is scheduled for Friday (10/4) at 11 PM. I will not be able to see the big finale, in real time at least. I understand League of Legends is a global sport, and no matter what some timezones are just going to get screwed. Maybe it is East Coast bias, but I'm not used to being on this end of things. It seems like the final game should be in a more East Coast/European friendly time of 8pm. That would still work for the West Coast too, if it was held on a Saturday or Sunday rather than a Friday. I'm sure Riot had a good reason to hold it at the time they did. I'm just sad I'll miss the seasons finale. Both Rift and SWTOR are free to play. Their plans are wildly different though, specifically what subscribers get. They can be broken down into two different philosophies, one where subscribers get everything they had before, the other where subscriber get that and bonuses. Rift's subscriber program is called Patrons. Every Patron receives a store discount, extra Loyalty rewards, and priority queue status, plus special bonuses to currency, mount speed, and various types of experience. In addition, Patrons have improved daily log-in rewards and exclusive weekly log-in chests that provide the best chance at bonus currency and premium items. Subscribe today for access to all of the following benefits! That's a pretty good summary, by subscribing you get all sorts of bonuses. Trion went with the honey route. In SWTOR, subscribing basically gives you access to everything plus an allotment of Cartel Coins. By not subscribing, players get the stick, as in they face restrictions. So the major reason to subscribe is not to be restricted. Which method works better? It's hard to tell. I have no idea how many patrons and Subs Rift has, nor how many f2p conversions each has. I prefer Rift's method, as the bones are very nice and it makes me feel like I am getting something for my sub. That being said, I am subscribed to SWTOR and not Rift. Go figure. I was recently rummaging around my desk and I came across an unopened 60 day WAR timecard. I got a few of them back when they were on sale from Amazon. I think they were half price. Hard to pass up a deal like that. With WAR closing on December 18th, I've started to think about whether or not I want to use it. On one hand, I've already spent the money so why not use it. On the other hand, it is tough to get up the motivation to play a game that is shutting down. It also doesn't help that Mythic has not said a word about any special events. Usually games which shut down have some sort of in-game send off. 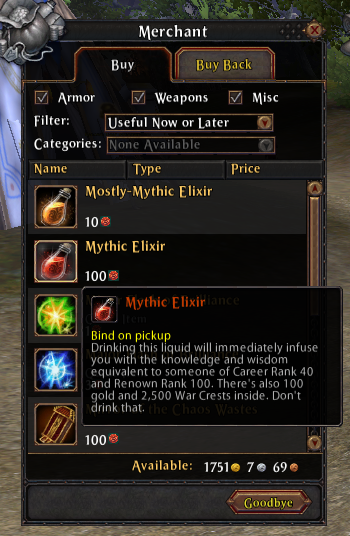 It does not appear that Mythic is going that route though. So I am torn about whether to spend the time, which is really the limiting factor here, in the game before its demise. What do you guys think about playing games until they are powered off? I'm currently in an odd spot when it comes to console games. I have a bunch still to finish on my XBox 360, but I have no desire to purchase any more, like GTA5. For some reason I've never been able to get into the GTA series. Maybe it is all the driving around, I don't know. With the next generation of consoles coming up pretty soon, I just have no desire to pick up any games for the current generation. I pre-ordered the XBox One, and Dead Rising 3 to go along with it. I think that will be the next time I get a new game. The limbo also applies to PC games. Right now, I cannot think of any game on the horizon which I want to buy. Usually there is some game I am looking forward to, but not this time. There are far off games like ESO, Wildstar and East vs West, but nothing coming up soon. I really should get around to finishing Skyrim and BioShock Infinity before the XBox One comes out. I just don't seem to have the motivation yet. I hope this is not a sign of me growing out of video games. Coming soon to SWTOR (October 1st!) are Arenas. These are 4 vs 4 matches which feature a 'smart queuing' feature. They are different than warzones, which are 8 vs 8 and often feature objectives instead of the Arena style deathmatch. So what will happen to the warzone queue once arenas are live? I think it will mean bad news for warzones. If I learned one thing from Warhammer Online, players would rather fight than wait around. The arenas will pop faster because they only require 4 vs 4. The smart queue mechanism will also make the matches more 'fair' by trying to ensure even roles. There is some hope warzones though, mainly in the form of Huttball. With a new version on the way (datamined) they provide a unique experience. I do enjoy Huttball more so than the other warzones, but sadly there is no way to queue just for certain matches. Me, I'll probably end up queuing just for Ranked Warzones. They should be quick to pop, and quick to finish. That's just what I am looking for from instanced PvP these days. We'll see if that lasts though. When you add a ranked component to the matches players tend to take things much more seriously. And by seriously, I mean they can become unbearable trolls. That was never really a problem in regular warzones, so they have that going for them. Is it possible that Sega ( a Warhammer IP holder ) could pick up Warhammer Online? Mehlindi over at WAR4EVER thinks it would be a good idea. While I would love to see the game go on, it seems like a long shot to me. Although, the shutdown notice did phrase the sun setting in an odd way... is someone else going to be operating it? Head on over to WAR4EVER to read the whole article. With WAR closing down, it got me to thinking about how it has affected my life. Sure, it is just a game, but it actually did a lot for me other than just provide me with countless hours of entertainment. It also has a legacy in the MMO industry, but I'll leave that for another time (or writer). Blog. This blog was started because of WAR. I had been looking for an excuse to create one, and once WAR came along I had something I wanted to write about. The blog has since expanded to cover a lot of different things, but WAR still has the most posts by a very large margin. It has served me well as a creative outlet. Projects. Writing about WAR is nice and all, but the game inspired me to create some other projects. When WARDB went down, the community needed another item database. I ended up creating the Arsenal of WAR to fill the gap. It was my first 'major' web project. It also got me into programming WAR addons a bit. The Arsenal of WAR gave me the experience I needed to create other projects, like Dev Spy and Sites with Benefits. Overall, I have learned quite a bit about web programming thanks to WAR. Friends. I've made many friends because of WAR. Bother players and developers. I still keep in contact with some of my guild mates. 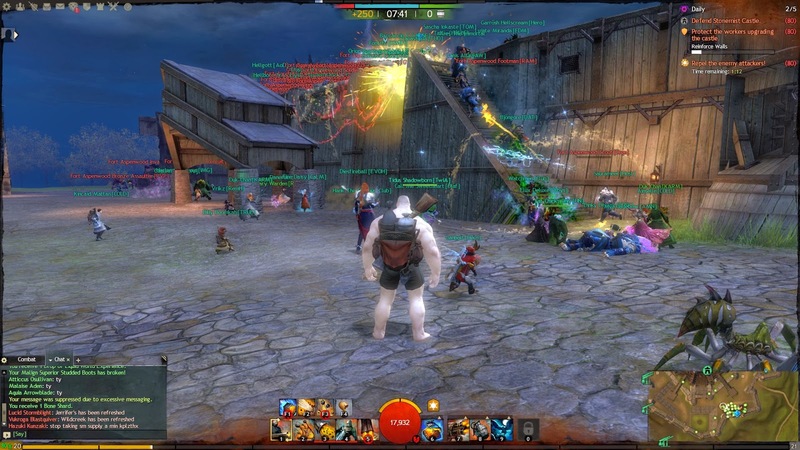 I also got to meet a number of WAR developers over the years due to being invited down to Mythic. Then there is the Core Tester program, which let me get to know some of the devs and other players even better. So how has WAR impacted your life? For the past couple of weeks I've written a lot about SWTOR and their new space feature. Most of it has come from data-mined information. The only official information we have received from BioWare was that teaser video. That's not totally true, there was also an interesting job posting which was looking for temporary game testers for early October. They are to test a new PvP experience, which I can only assume is the space system. So is this new space system going to be a regular old patch (2.5) or a full blown paid expansion? My personal opinion is that it will be a patch. Teaser. When BioWare has released teasers, they have always been for stuff we were going to see in the near future. I would expect an expansion to be farther out than the next patch cycle. I think we knew about Makeb for longer than 6 - 8 weeks ahead of time. 2.5 Patch. So far, we don't officially know anything about the next patch. The video teaser is the only hint we have about upcoming SWTOR content, so I think that means it is coming up next. Features. As cool as the new space system is shaping up to be, I don't think it is big enough to bill as an expansion. It could turn out to be a single warzone, at least to start out with. There would be no new Story content or level cap adjustments. Those are generally associated with expansions. Rise of the Hutt Cartel. This one works against my theory of it being a patch. BioWare has started to give out Rise of the Hutt Cartel for free. This behavior might indicate that another expansion is coming up soon. Then again, it might just be a coincidence. All that being said, they could still sell this content as a mini-expansion. This is the kind of thing I would definitely pay for, even as a subscriber. My personal opinion is that it will be free though, and included in patch 2.5 coming in late November. Today we found out that Warhammer Online will be shutting its doors on December 18th. I wish I could say I was surprised, but the silence over the past few months couldn't have meant anything else. I have not played the game for a while, but not a week (or day usually) goes by that I still don't think about it. This blog was started because of Warhammer Online, and most of my readership was gained because of it. I have at least 1,000 posts on the topic of WAR. I've enjoyed every minute of playing the game and also writing about it. I've made a bunch of friends because of the game as well. So while I wish WAR's story had a different ending, I have no regrets over the time spent involved with the game. I'm going to re-post something I wrote a while ago in the hopes WAR devs come across this post. WAR helped me through some difficult times, which I will always appreciate. Over the weekend, I joined the 21st century and picked myself up a Roku 2XD from Best Buy. It's a small interent streaming appliance. Up until now, I never really had a need for one. That was before I read about Riot making a special League of Legends LCS channel. It works pretty well, with a lot of previous matches being on there for viewing too. I've watched LoL on my TV before, by connecting my tablet to it and that worked ok. It was a bit finicky though, so I was on the lookout for a better solution. I basically showed my browser screen on the TV. The Roku does not have an official Twitch channel, but there is an unofficial version. You just add the channel, https://owner.roku.com/add/TwitchTV, and voila, it works pretty great. Besides watching League of Legends on there, I've also been using its Amazon Instant Video channel. We have Amazon prime, so we get a lot of videos for free. We also tend to purchase them for my kinds to watch on their Kindle Fire's. They are all available through the Roku too, so we can watch them on the tablets or on whatever TV the Roku is attached too. I'm a little worried that the kids will hog the Roku, so there is a chance we might need a second on. Luckily the Roku 2XD is pretty cheap at $60 (compared to the $100 Roku 3). I even took the Roku to the farthest reaches of the house away from the wireless access point and the streaming still seemed to work great. Overall, I am quite pleased with my purchase. I'm back with another Data Dump for SWTOR! I've been remiss doing these posts since swtor_miner on reddit has been doing a better job. However, things are a bit busy this week, so I'll go ahead and do it. What stands out to me this week is all the space content. Who knows if this was intended to be in the live files. Report has it some space missions are broken, and this might be the cause. Anyway, there is some fascinating content in the files. Crew Skills. I don't mean crafting, it appears as if your ship might get a 'crew' abilities. New Daily Area. Looks like we are getting a new daily area, Kuat. Space Exhaustion. It also looks like space will have borders, where you will get exhaustion if you venture too far. Space Achievements. There are a whole bunch of achievements for the space system. Some involved 'crew' again. I'm sure I missed some nuggets of info, see the data for yourself.